Ricardo Ortiz is a Dallas attorney who specializes in business and tort litigation, managing cases up through the trial stage in state and federal courts. 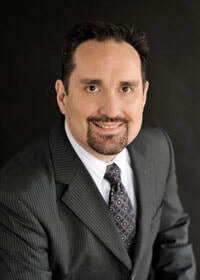 He also has extensive experience in complex commercial litigation, general banking law, collections matters, shareholder disputes, product and professional liability, contractual disputes, wrongful death, trade secret, unfair competition, subrogation matters, insurance actions, premises liability, formation of business entities, appellate law, employment matters, and DTPA actions. At Bickerstaff Heath Delgado Acosta LLP, Ortiz represented individuals, small and large businesses, financial institutions, leasing companies, governmental entities, and nonprofit organizations and has served as general counsel to boards of directors. He also has considerable business and client development experience. Ortiz is a member of the American Bar Association, the State Bar of Texas, the Dallas Bar Association, the Dallas Hispanic Bar Association, and the U.S. District Court for the Northern and Western districts of Texas. In addition to his work as a litigator, Ortiz is involved in business development in the community through his participation on various organizations, such as the Greater Dallas Hispanic Chamber of Commerce. He has been active with the Hispanic chamber since 2005 and served as chairman of the board from June 2009 to December 2010. Prior to being elected chairman, he had served in the International and Bylaws committees and had occupied the position of vice chair on the board of directors. During his tenure as chairman of the board, Ortiz also took on management responsibilities of some of the everyday functions of the Hispanic chamber. He assisted with the operations, financial, and budgetary management of the organization and instituted an updated employee handbook. He provided grant and programming oversight, instituted internal audit procedures, oversaw corporate relations and fundraising, established entrepreneur partner relationships, and participated in small business advocacy. Ortiz also served in the community as a board member of the Dallas Concilio of Hispanic Organizations and the North Texas Navidad en el Barrio Foundation. He also has been a member of the board and the executive committee of the Dallas Convention & Visitors Bureau and has participated in the North Texas Commission and the DFW Airport Availability and Disparity Study Review team. He was a member of the Texas Association of Mexican American Chambers of Commerce Presidential Search Committee and the advisory and transition team for Dallas Mayor Mike Rawlings. A native of El Paso, Texas, Ortiz worked as a Bristol Meyers Squibb pharmaceutical representative prior to attending St. Mary's University School of Law, San Antonio, Texas, where he received his Juris Doctor in 2003. Ortiz graduated from The University of Texas at El Paso with a Bachelor of Business Administration in marketing and management. Ortiz is fluent in Spanish.